I had a chance to do a technology-share session with the Coastal Master Naturalists about nature apps that Naturalists might use in the field. 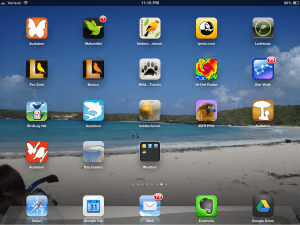 This gave me an excuse to purchase some apps I have been longing for, and also served as a conversation starter as I asked some really good birders what they use while they are out and about. A few disclaimers– there is a wealth of technology available, and it’s a challenge to keep up with it. Some is easier to use than others because the user interface (UI) is better, and some is easier to use because the user is familiar with the process and reluctant to switch. I know a little bit about a lot of programs/apps, but I am not an expert in any of them. So if you have tips and tricks to share, pipe up– I’ll be thrilled. I am an Apple fan. I use a macbook, ipad, and iphone. Android and windows have some pretty cool stuff, but I know NOTHING about them. Most of the apps below are available on more than just the apple platform. This is a great way to learn anything technology related: from how to work your camera, to how to use evernote or Lightroom. You pay a basic membership fee to join: monthly or annually, and then you can take courses to your hearts content. If you want practice with their files, get a premium account; otherwise you should be fine. 7 day free trial, $25.00 to $37.00 per month, with discounts for annual memberships. Taking notes in the field with a notebook is great, but if you are trying to remember what your instructor said about a Blue-gray gnatcatcher, you will want to be able to search your notes later. Evernote is your friend. Evernote is a cloud-based system that syncs with all your devices so you can search your notes from anywhere. It automatically syncs with your calendar and your location to help you organize your notes as you write them. Understanding the vast capabilities of Evernote is a little like trying to take a bite from an elephant, but basic notes and notebooks are pretty easy to use. You can even get an evernote-enabled moleskin notebook, which allows you to scan, categorize, and search handwritten notes. Once you have all that covered, you can use evernote to copy articles online, put them in an offline reader, and enjoy them whenever you want. Or take sound and photo recordings and put them in a notebook. Or make a stack of notebooks. Or checklists. I have taken notes on my ipad, added a photo, opened them from my computer, edited them, and searched them from my phone in the field. There is a free version and a paid version. I’ve been using the free version, but I bought a moleskine evernote notebook, which comes with 3 free months of premium, so I’ll let you know if the upgrade is worth it. A premium membership is $45.00 per year. The feature I wanted most in a field guide (besides more information, see below) is the ability to make a list of expected birds for a given location in a given season. Sibley’s Smart Search feature works well for this. Almost all of the birding guides have multiple bird calls and songs, which is a nice feature as you try to learn the bird songs. This is often a matter of personal preference. In order to research mobile technology apps, I figured I had to take one for the team and purchase this one. And in the first five minutes, I discovered that this may be the one I use the most. There are more song choices available for each bird, but fewer pictures, and no photos. It’s designed well for the ipad, with scroll wheels and click buttons, and lots of information and notes on the page. My favorite feature is the compare feature, where you can select two similar species to compare them to one another. I understand why many of the best birders I know use this one. This is the first birding field guide I used, so I am familiar with the interface and it’s the one I was most likely to reach for, until I discovered Sibley. (The Sibley app wasn’t available when I bought this.) Again, there are lots of features I don’t use, like the ability to add your own photos. (Using a phone or ipad picture seems silly, and moving pics out of iphoto or lightroom is too much trouble. Some people connect their iphones to a telescope and submit those.) What I like is the ability to type a generic word, like sparrow, and see all available sparrows; and then I can listen to the calls to help identify it in the field. 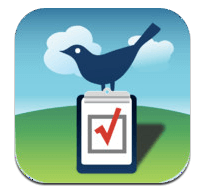 There are ways to create lists, and ways to search or identify a bird by attribute. Multiple photos of the bird in different locations and positions are very useful, so I’ll keep it as an auxiliary app for birding. Multiple versions from free, to a regional version for $6.99, to $29.99. A new Audubon Guide to Birds came out on May 15th, and this was the hands down favorite of the instructor in my recent birding class. Originally $14.99, it is currently on sale for $3.99. I just bought a copy, and will be doing more research on how it all fits together. I buy these when they go on sale, and so far I have mushrooms, fish, birds, butterflies, etc. (I rarely use them in the field, but they are a great supplement to the books on the shelf. They have beautiful photographs, and allow you to browse by attribute. I wish they had caterpillars, eggs, and chrysalis information for butterflies; and nests, molting plumage, etc. for birds. 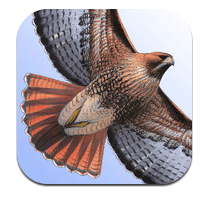 Available as apps or ereader guides, they are especially helpful for non-bird ID’s. This is an app for track identification that works pretty well and is easy to find the species you are looking for, so long as you have a pretty good idea of what potential species you should be searching through. 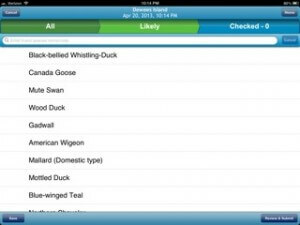 The website mynatureapps.com has a variety of mammal apps, as well as wildflower and tree guides for national parks. 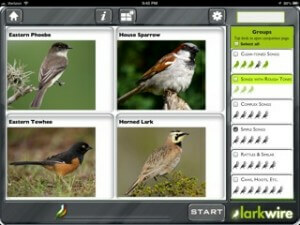 Larkwire: is one way great way to learn birding by ear, but it gets expensive. There is a basic trial version for free– try it for a while to see if you like it. You’ll want headphones rather than irritate your fellow house dwellers with rapidfire repetition of birdsongs while you learn the difference between a painted bunting and an orchard oriole (and you won’t have to tranquilize your cat.) The basic pack took me a while to master, but I decided I wanted more birds and purchased the Eastern Land Birds pack as an upgrade. Waterbirds is another possible upgrade, but I will stick to learning the land birds for now. This is not a field app… and it only requires an internet connection for installation. You can play the game in airplane mode or on your phone, anywhere you have a few hours to kill. I have just heard about another, less expensive app for this, which might be more customizable, but have encountered a glitch… stay tuned; I’ll let you know if I can get it working. 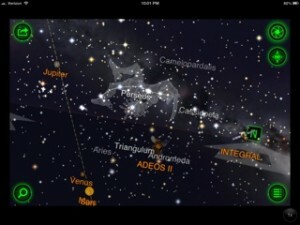 Starwalk: is an app that makes stargazing simpler and more interesting for astronomy novices. Besides the fact that when I used the app on Dec 24th to look for meteors and found a tiny Santa making his way across the sky, I like the ability to point my device at the sky to identify stars, the space station, satellites, constellations and the Hubble Telescope. It’s also useful for information about sunrise and sunset times, moon phases, and other interesting facts. I think it was originally $9.99, currently priced at $2.99. 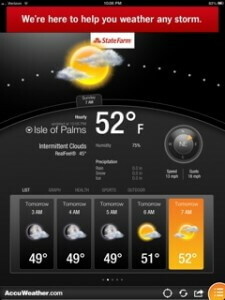 EweatherHD gives you the ability to watch fronts move in and see real-time radar. $2.99. TideApp gives you the tides at a myriad of locations. It would be better if it automatically connected to where you are, but once you set a preferred location, it becomes your default. Paperkarma is an incredible service which stops unwanted mail from arriving at your house: use the phone to take a photo of the catalogue and they’ll do the rest. Read more here. I think this has reduced our junk mail by 90%. FOR FREE! Want to know where to get rid of stuff that you just hate to send to the landfill? 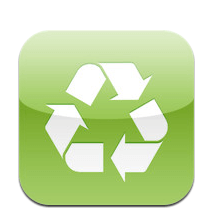 Try Irecycle: a database that looks to see where you are, and then shows you where you can send old paint, shoes, batteries, etc. I am a big citizen science fan: our turtle program is a great example of how citizens can provide scientists with really valuable research. Apps for data entry, however are far from seamless, but the potential is incredible. Imagine a bio-geographical overlay of the planet, with details about all of the organisms and biodiversity of a particular area. Birdlog North American Edition: this is the best and fastest way to make ebird entries from the field. Originally cumbersome and awkward, subsequent revisions in September 2012 have made this a valuable tool for counting. Tap the species name to get an entry form to enter a number, or tap the box next to the name once for each individual you want to record. Unless you see more than five, it’s easiest to just keep tapping rather than bring up the entry window. $9.99. (The Audubon and SIbley apps may soon provide seamless integration with ebird, which would make this redundant, so if you don’t use ebird often, you might wait on this one. 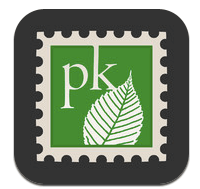 This is an app with TONS of potential; in fact, I think it’s going to change the way citizen science happens. Unfortunately, it is currently restricted to the Northeast area, and it’s still a little cumbersome. The eventual outcome will be a great geographical map of where certain plants are located. The idea is that you can geotag certain plants, play games to learn trees by looking at bark, flowers, fruit and leaves, and contribute to an interesting plant database. I’m looking forward to the Southern Edition. In the meanwhile, it’s a useful tool to learn leaf identification. Another citizen science observation platform, which feeds data to Leafsnap, and uses similar technology. It is connected with the catalog of life and ubio, which indexes and organizes scientific names. You can set up a project (I am working on one for Wildflowers of Dewees Island), and store your data in that project, and even invite others to participate. My hunch is that this will just keep getting better and better, and I want to spend more time learning this one. This is also a data entry program with geotagging, and you can provide valuable climate change data to the National Phenology Network. (from the website: Phenology refers to key seasonal changes in plants and animals from year to year—such as flowering, emergence of insects and migration of birds—especially their timing and relationship with weather and climate.) Your observations can be linked into existing projects, like monarchwatch, or you can explore other ways to submit observations. I am just getting to know this one, but it may prove to be the most interesting of the citizen science apps. I don’t know any really good ones, but i am looking for an app which will allow me to track Cicada activity, and have yet to find one. If anyone knows of anything, please let me know. 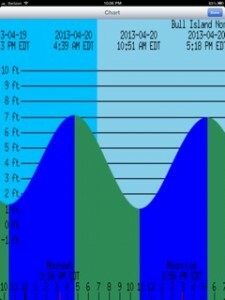 On dewees I use the Tide Graph App not only to know the tide tables from as close as Dewees Inlet or Capers Inlet, but this app also gives me the moon and sunrise/sunset tables. I also use the Nike Plus App to chart by GPS any exercise (running/walking) activities and locations on Dewees. Thanks Judy. A few I didn’t know about. Here are a few more I like; ‘MarineWH’ – world heritage sites;’ Pollution’ – see all the permits for air and water pollution near Dewees Island, amazing all the pollution sources where we live; ‘Butterflies’; ‘Florafolio’; ‘PUniverseHD’ – great star finding site; and of course Google Earth, an amazing resource to visit our earth, oceans and sky. What or who is Lynda that Ginny loves? I use Tide Trac and like it. 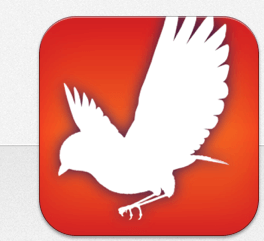 Also iBird which has great information and sounds – wish it had just Eastern birds. Seems to take too long to find the bird. Paper Karma is great – some companies have to be un subscribed more than once, such as Chefs, etc. Weather apps My Radar and Accuweather. Any suggestions on watcher apps?